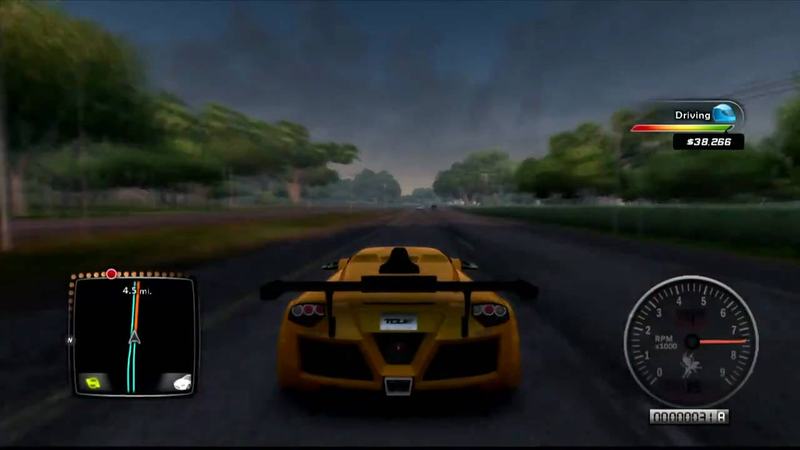 To celebrate Test Drive Unlimited 2’s 5th anniversary (released February 8, 2011), and mourn the loss of the game developing company known as Eden (out of business since January 2013), I’m going to review this racing game! First off, we have got increasing levels, with a total of 63. There are four different categories of levels: Competition (15 levels to gain), Social (15 levels to gain), Collection (15 levels to gain), and Discovery (18 levels to gain). You win Competition points from completing Racing Schools (which helps you compete in racing championships by earning licenses) and winning racing championships. You can win Social points by participating in Club events (but only if you have access to XBOX Live). You win Collection points buy buying items, such as houses, cars, clothes, and vinyls/upgrades for your car, and you win Discovery points from discovering car wrecks (to earn new free cars) and discovering roads. There are more ways to earn points to level up besides these. Next, we have championships. You can enter championships when you complete Racing Schools and earn your license for that championship. There are a minimum and maximum amount of events in each championship, the minimum 5 and the max 8. There are also car categories. The list of categories include C for Classic, B for Off-Road, and A for Asphalt. The Classic car classes are C4, C3, and C2 (although C2 is not a championship, because the only C2 class cars are treasure cars). The Off-Road car classes are B4, B3, and B2 (again, B2 is not a championship). The Asphalt car classes are A7, A6, A5, A4, A3, A2, and A1. When you complete car championships, there are also (class) high championships. If you complete the C4, B4, B3, A5, and A2 regular and high championships, you unlock duels with the… “celebrities” of the car class. C4’s celebrity is Miami Harris (with a Ford Mustang Fastback 302did cruise-o-matic), B4’s celebrity is one of the Wilder brothers, Ryan Wilder (with a Volkswagen Touareg v10 TDI), B3’s celebrity is the other Wilder brothers, Chris Wilder (with an Audi Q7 v12 TDI quattro), A5’s celebrity is Stuart Wintory’s daughter, Tess Wintory (with a Mercedes- Benz SLK 55 AMG), and A2’s celebrity is Stuart Wintory himself (waiting with a beast-like Mercedes-Benz SLR McLaren 722 Roadster). If you beat the celebrities in the duels, you can earn their car. However, it doesn’t mean they can’t participate in other championships. But there’s something that tops all of these competitions like a cherry on a sundae?! Impossible! Oh, but no… After all the sweat and tears put into driving, there is something else you race in for the ultimate title of Champion of the Solar Crown. Cups… there are 3 in total, 1 in Ibiza, and 2 in Hawaii (yes, you can travel to two totally different islands in this game). They consist of 8 events, and all of the car classes you have participated in at the moment. They have bigger rewards of money than the championships (and you can get free cars!). But there’s a catch: You can only do the events in the order they give you, and you have to WIN. That’s right. You have to get first place in all the events to win the cup. Next up is Social. There’s not a lot to it, except for participating in online events at the Club and Community Racing Center. You can also create events for the Community Racing Center, create a fee for participating, and winning prize. Next is Collection. You earn Collection points from buying stuff, like houses, cars, clothes, etc. Of course more points are rewarded when you buy more expensive items. The most expensive item in the game is a yacht in Hawaii, which has a price of $7,000,000! The least expensive item would be multiple pieces of clothing, priced at $200. Don’t worry if these seem super pricey, you begin with a budget of $24,500. 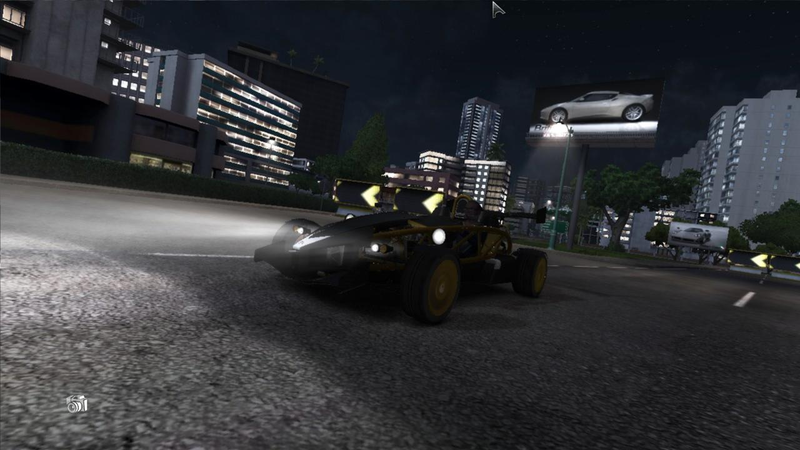 You can earn more money by winning championships, and on the spot challenges, where you drive behind a driver in free roam and turn on your headlights. There is then an event list of the events you can challenge them to. There’s one more way to earn money: side challenges. They can be found with a bomb icon, on random roads. Finally we have Discovery. Discovery points are awarded when you find roads you haven’t driven on yet, or when you find car wrecks (which, after you collect a certain amount, you can find a free car at the Used Car Dealer). There are 6 cars in total, excluding DLC packs. 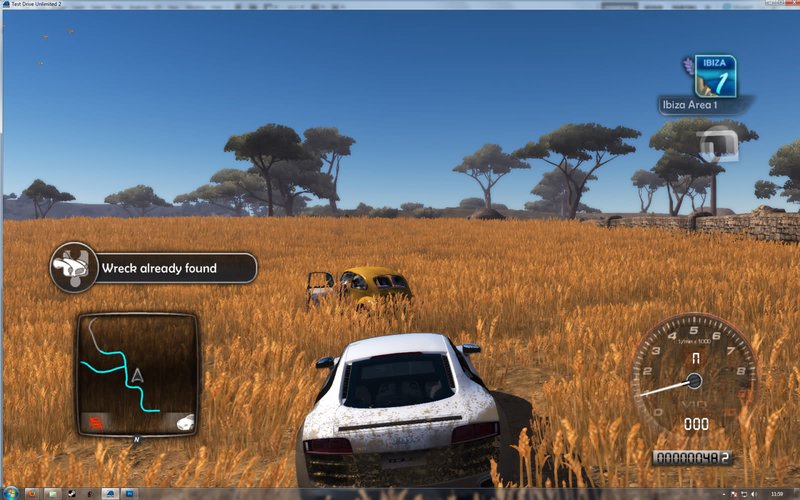 There are 2 cars that can be salvaged on Ibiza, and 4 on Hawaii. The cars are the Volkswagen Beetle (C4), Buggy V8 (B2), Citroen 2CV (C4), Shelby COBRA “DAYTONA” COUPE (C2), Jaguar D-Type (C3), and the AC Cobra 427 (C2). Increasing your Exploration level means you have access to new upgrades to your car, new hairstyles, and new clothes. Moving on to cars. 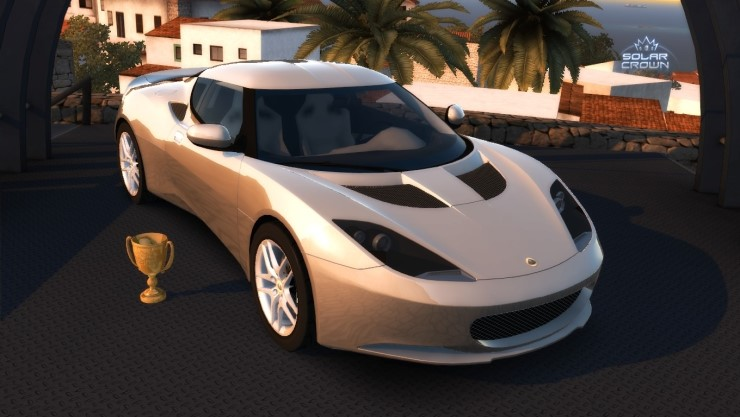 A few examples of all the car classes are the Lotus Esprit S3 (C4), Ferrari 308 GTS Quattrovalvole (C3), AC Cobra 427 (C2), Hummer H3 (B4), Spyker D8 Peking-to-Paris (B3), Buggy V8 (B2), Alfa Romeo MiTo Quadrifoglio (A7), Subaru Impreza WRX STI (A6), Audi S5 Coupé (A5), Aston Martin V8 Vantage (A4), Mercedes-Benz CLK 63 AMG Black Series (A3), Nissan GT-R (R-35) (Black Edition) (A2), and the McLaren MP4-12C (A1). Next up we have DLC packs. I’ll be talking about the extra cars, Exploration Pack, and the Bike Pack. First off, the extra cars. The list includes the Ferrari 599 GTB Fiorano China Edition (A2), Bugatti Veyron 16.4 Grand Sport Sang Bleu (A1), Bugatti Veyron 16.4 Centenaire (A1), Nissan 370Z Optional Parts (A5), Audi Q7 TDI quattro – TDU2 Inuit Edition (B3), Aston Martin DBS Carbon Black Edition (A3), Aston Martin V12 Vantage Carbon Black Edition (A2), Audi RS 5 Coupé (A5), Bugatti Veyron 16.4 Super Sport (A1), Caterham Superlight R500 (A4), Chevrolet Camaro Synergy Special Edition (A6), Ferrari 612 Sessanta (A3), Ford Shelby GT500 (A4), Jaguar XKR Speed Pack and Black Pack (A4), and the Pagani Zonda Tricolore (A1). Next, the Exploration Pack. This gives access to unlocking two new wreck cars, the Lancia Stratos Groupe 4 (B2) (found in Ibiza) (8 wrecks), and the Dodge Charger R/T (C3) (found in Hawaii) (12 wrecks). However, you cannot collect the wrecks unless you complete a side challenge. Every time you complete a special side challenge, you unlock access to finding one of the wrecks. There are 20 new side challenges. They’re not just any normal side challenge. They consist of Extreme Convoys (you can’t damage the car you’re delivering), and Timed Convoys (deliver the car in a certain amount of time). You can also earn some special explorer clothes when you reach the max Discovery level! Now, the Bike Pack. It’s self-explanatory – it gives you access to buy motorcycles, and you have special outfits for when you drive motorcycles! Overall, I give this game a 7.5 out of 10, due to certain issues, bugs in the game, and not-even-close-to-perfect lighting. But of course, not all games can be perfect. Make sure to check this out if you love cars that drive at over 200mph, style, and a crazy cast of drivers who want you to lose miserably.